Updated Advice on Eating Fish During Pregnancy. 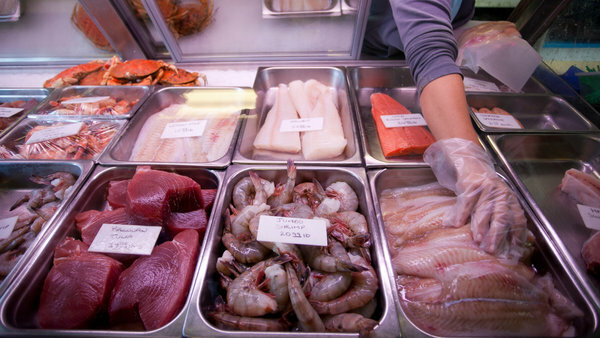 Federal officials on Tuesday announced that they would recommend for the first time that women who are pregnant or breast-feeding and young children eat a minimum of two servings of low-mercury seafood every week for their health. All fish are contaminated with mercury or PCBs. The best advice is to take highly purified fish-oil capsules to get the necessary omega-3 fatty acids the fetus needs for proper brain development. For a pregnancy with no problems (health or complications) which is an ideal daily intake of Omega-3 supplementation? I currently take 2000mg pure wild fish oil containing 700mg EPA and 500mg DHA per day. Could I increase it and how much? I would suggest doubling the dose to 2,500 mg of EPA and DHA per day. Just make sure it is highly refined and very low in PCBs. If the PCB levels for that lot of fish oil is not published, I would suggest OmegaRx 2 as such data for every lot is posted on our website.